"Khufu wasn't the first time. Egypt wasn't the first place. My lives on Earth are not my entire history." Carter Hall has lived a thousand lifetimes. He’s lived and fought across empires and centuries. 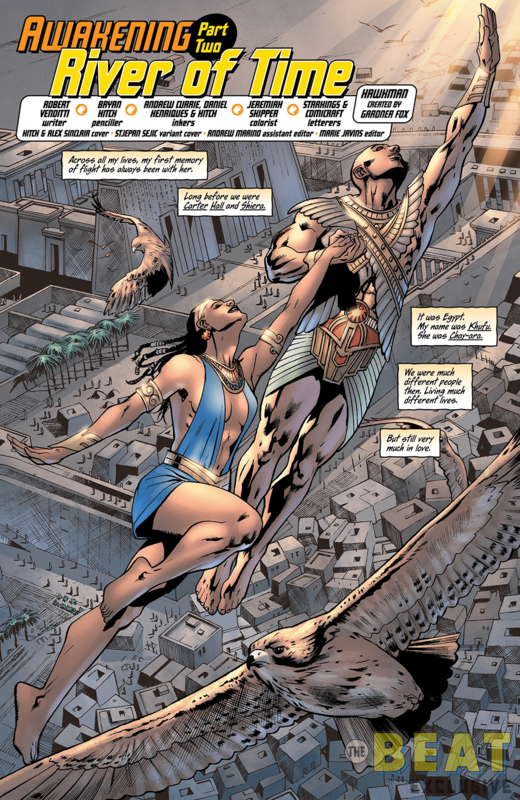 Yet for the longest time, he thought his story started in ancient Egypt with his love, Shiera. 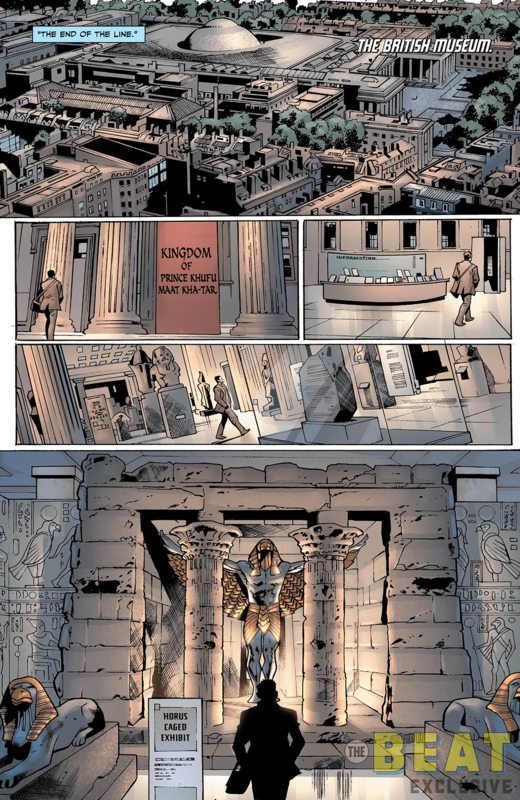 Now, however, Carter is learning that Egypt may not be the first page in his and Shiera’s story after all. 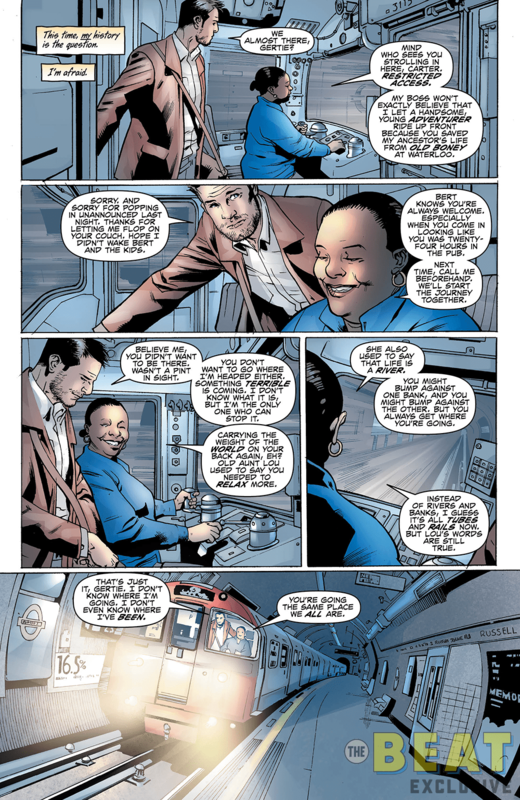 As Carter digs deeper into his past and discovers lives previously forgotten, he finds that something from the past is hunting him. And he’ll need to stop it if he hopes to have a future. 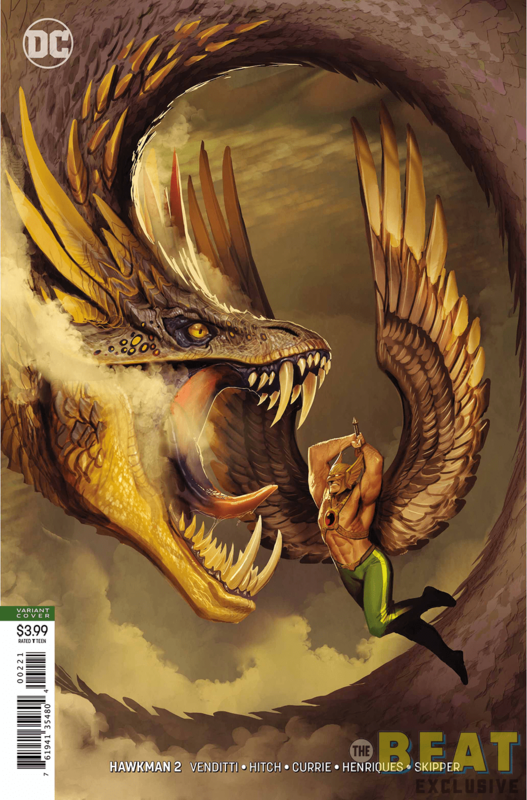 Check out the Beat’s exclusive preview of Hawkman #2 after the jump. 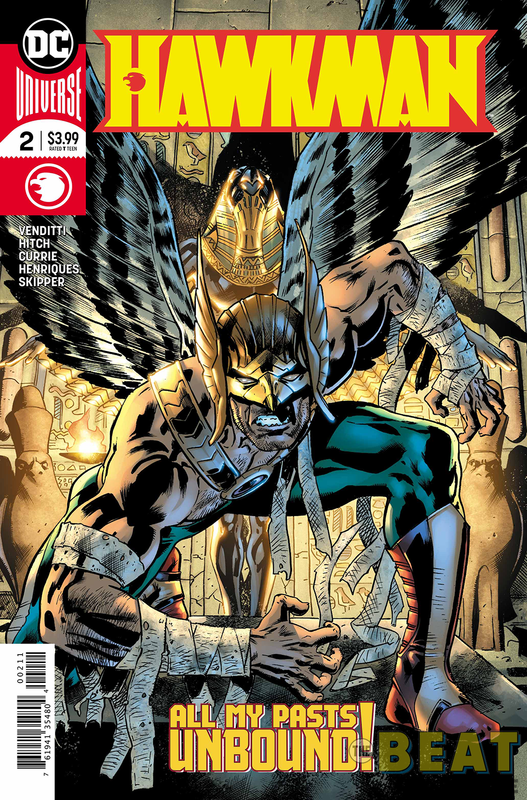 And afterwards, revisit our Hawkman interview with writer Robert Venditti. 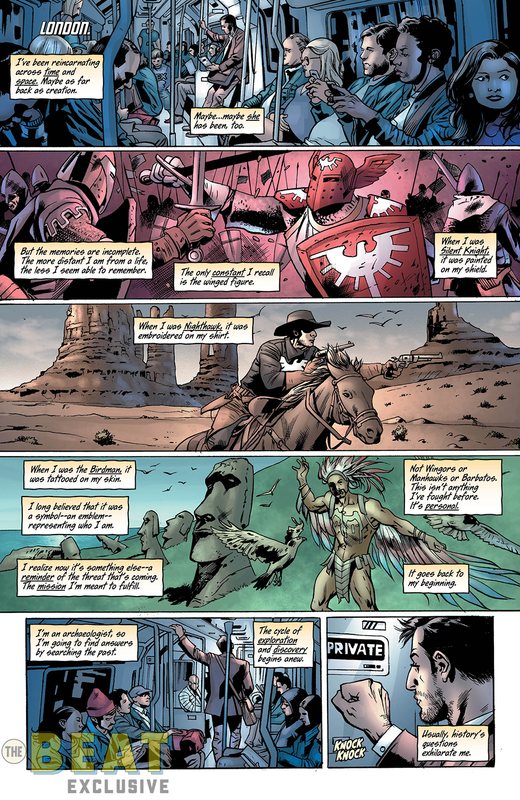 Carter Hall is Hawkman, the resurrected warrior who’s lived a thousand lifetimes. But what happens when one of those past lives comes looking for him? 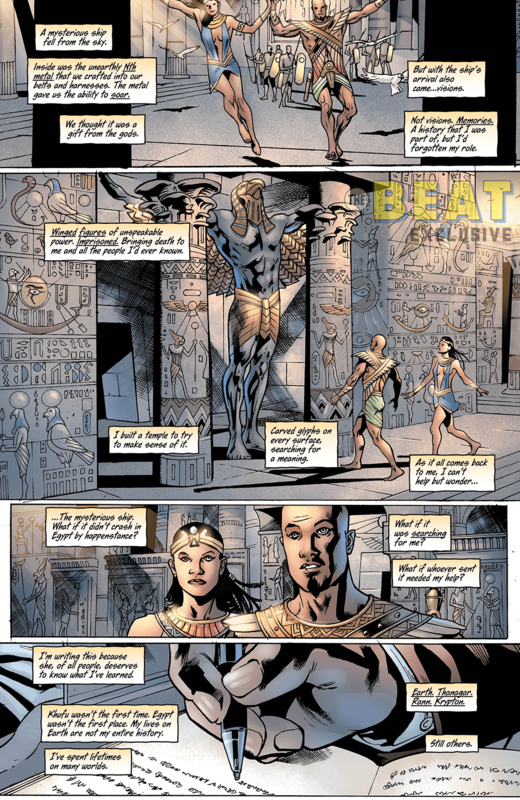 Deepening the mystery is an ancient parchment in alien hieroglyphics, revealing that an unexpected familiar name is on Earth hunting the Hawkman. The past must die for the future to live!